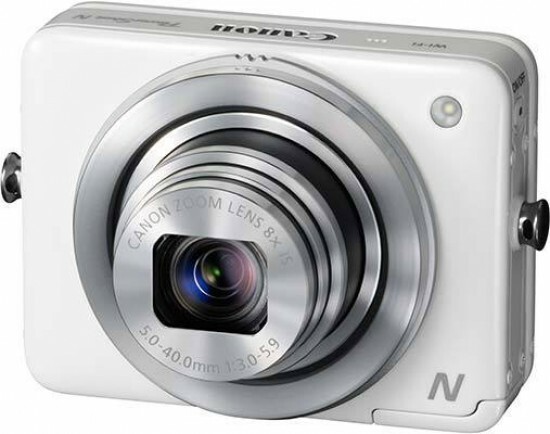 Listed below are some of the rivals of the Canon Powershot N.
The Canon IXUS 255 HS (also known as the PowerShot ELPH 330 HS) is a small and stylish new point-and-shoot compact camera. The IXUS 255 HS' stand-out features include a 12 megapixel back-illuminated CMOS sensor, 10x wide-angle zoom lens, full 1080p HD movie recording, 3 inch LCD screen and built-in wi-fi connectivity. Read our in-depth Canon IXUS 255 HS review to find out if this tiny camera is worth the £199.99 / $229.99 price-tag. The Sony Cyber-shot DSC-WX100 is an affordable compact camera with a wealth of advanced features. A 10x zoom lens, 18 megapixel Exmor R CMOS sensor, 10fps continuous shooting and Superior Auto and Background Defocus modes, Full HD movie recording and even 3D photos are all on offer. Priced at around £180, read our Sony Cyber-shot DSC-WX100 review to find out if it lives up to its full promise.